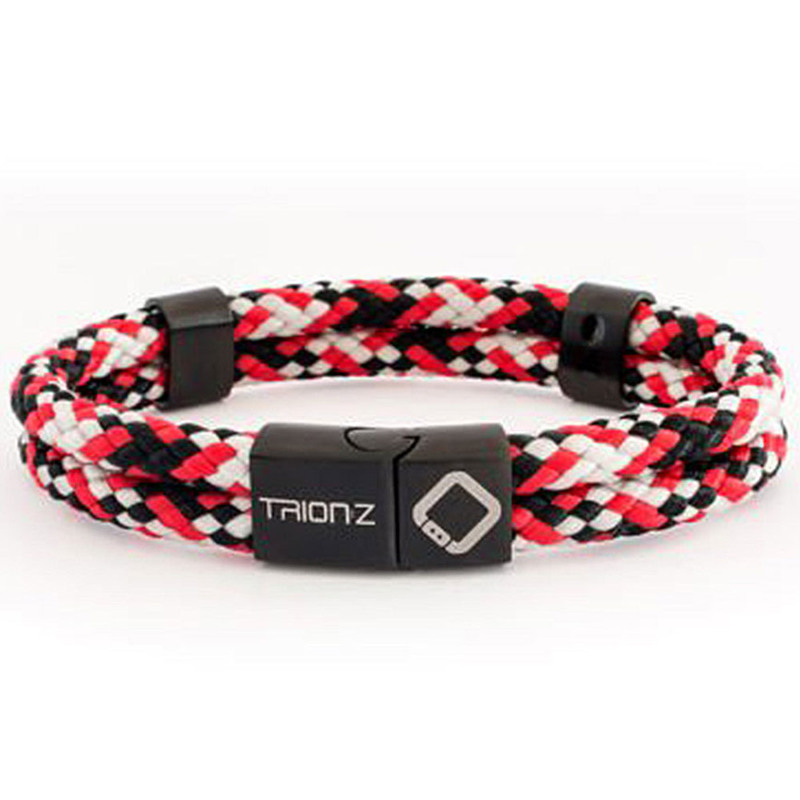 This fashionable bracelet features an ION CORE™, central rubberised core infused bracelet is packed with high levels of negative ions to help improve your everyday lifestyle. 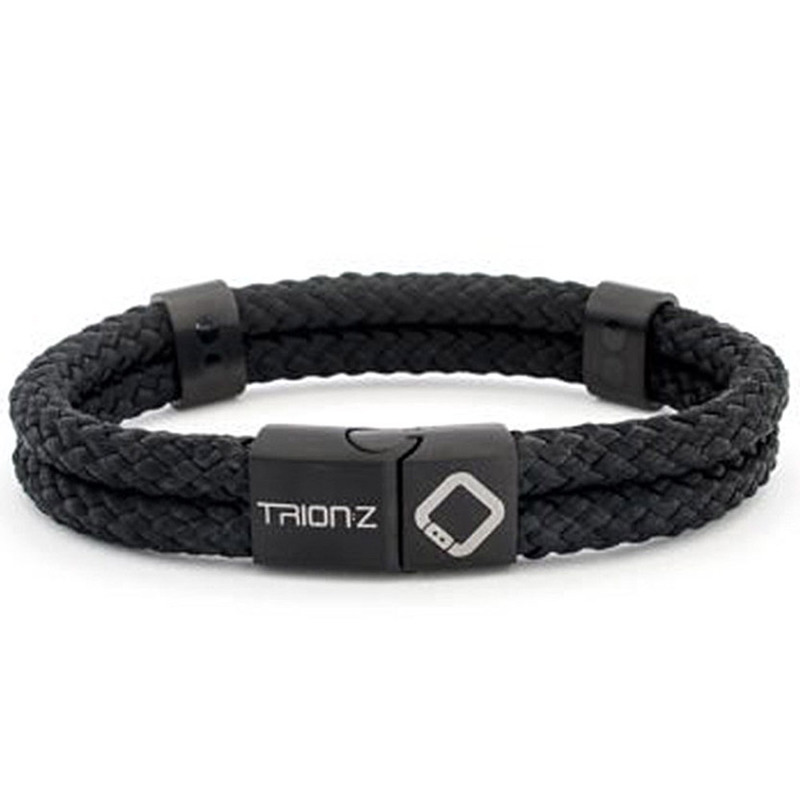 The Zen bracelet features a polarised pod capsule containing 4 x 1,000 Gauss magnets with patented alternating north-south polarity orientation (ANSPO) technology that produces over 1,500 negative ions per second. Negative ions are thought to have a positive effect on our psyche and sense of well-being. It is though that negative ions counteract and balance the effect of positive ions which manifest in lactic acid, for a time reduced recovery after sport. 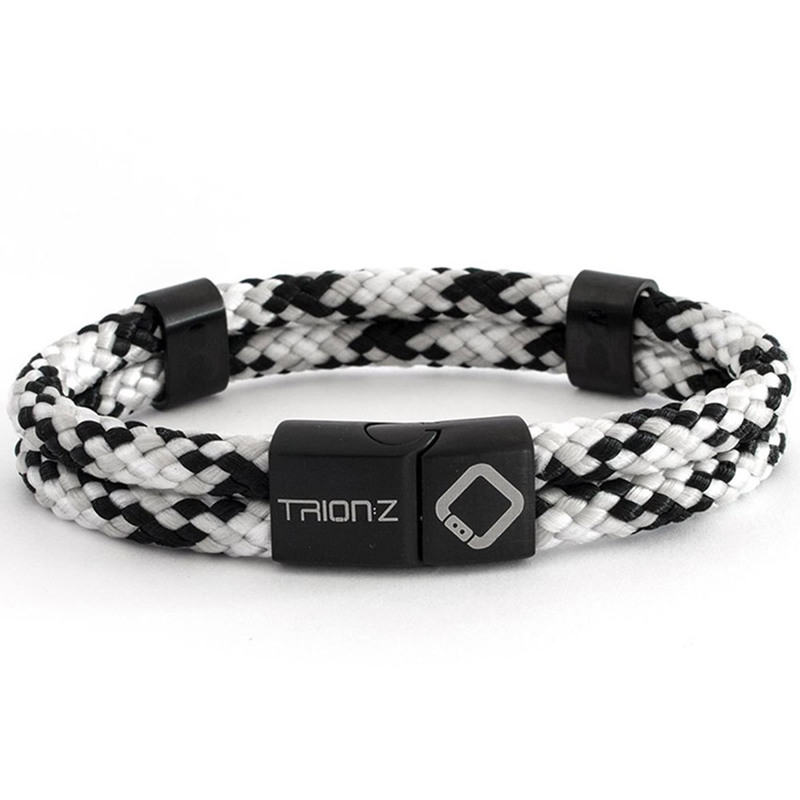 This stylish wrist band has been constructed from a strong and robust climbing rope construction that has been strength tested to 50 kg. Plus has a magnetic clasp to ensure easy fitting.